An aircraft at the cutting edge of naval airpower will return to RNAS Yeovilton for its annual Air Day on 23 June. Living up to its name, the Dassault Rafale (‘Squall’, or ‘Hurricane’) will tear through the skies over this key Royal Naval Air Station. The Dassault Rafale M is the French Navy’s most modern frontline fighter and it’s no stranger to Air Day, examples having attended the show on several previous occasions. However, this will be the first time it will perform a spectacular and dynamic solo demonstration, showcasing its speed, power and supreme agility in what’s likely to be the French Navy’s only public flying appearance in the UK this year. 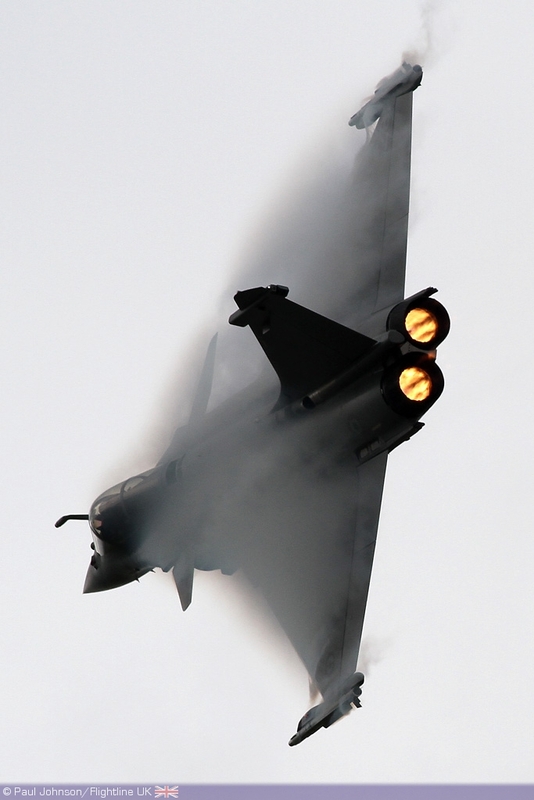 The Rafale hit the headlines several months before Air Day 2011, when a French Air Force example carried out the first strike of Operation Unified Protector – the NATO mission established to enforce a no-fly zone over Libya. More recently, the type’s been in the news again as the preferred choice for the Indian Air Force’s massive Multi-Role Combat Aircraft contract. This contract, when completely firmed-up, will represent the first foreign order for Dassault’s hi-tech super-fighter. The French Navy are strong supporters of the Air Day and the organisers are extremely pleased to welcome them back. They are confident that the Rafale M’s outstanding performance will captivate each and every visitor to the show. The current list of aircraft participating in Air Day, which includes three display teams – the RSAF Saudi Hawks, the RAF Red Arrows and the brand-new Red Star Rebels – can be viewed atwww.royalnavy.mod.uk/yeovilton-airday . Tickets are also available online or by calling the Ticket Line on 08445 781 781. Throughout the day there will be plenty of entertainment on the ground for all the family including side shows, educational interactive displays, funfair, vintage, classic and military vehicles, service demonstrations, military bands, picnic areas, helicopter pleasure flights, simulator rides, trade stands and much, much more.